2016 is right around the corner! I have big goals for the new year, and I am doing everything I can to ensure that I reach those goals. To kick off the new year right, I have decided it was time to get organized. I am talking from home to work, everything will be organized. To help aid in this adventure I have come up with some fun Free Organizational Printables! They are pretty and plain, which is what I love. I decided to keep them neutral with a classic grey because they will use less ink to print, which saves money in the long run. It should not take a lot of money to get and stay organized, and each week I will be sharing some fun and simple ways to get organized and stay that way in 2016! 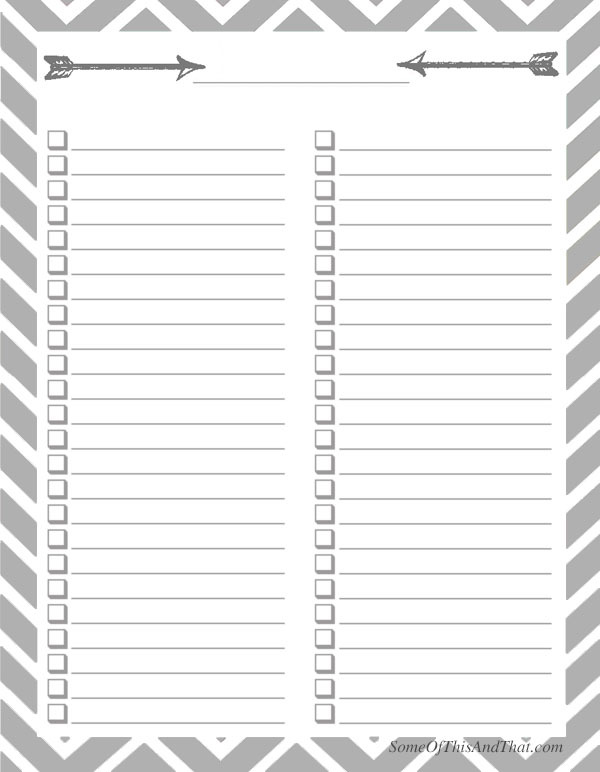 Blank Checklist, use it for a shopping list or a to do list. Perfect and simple with multiple uses! 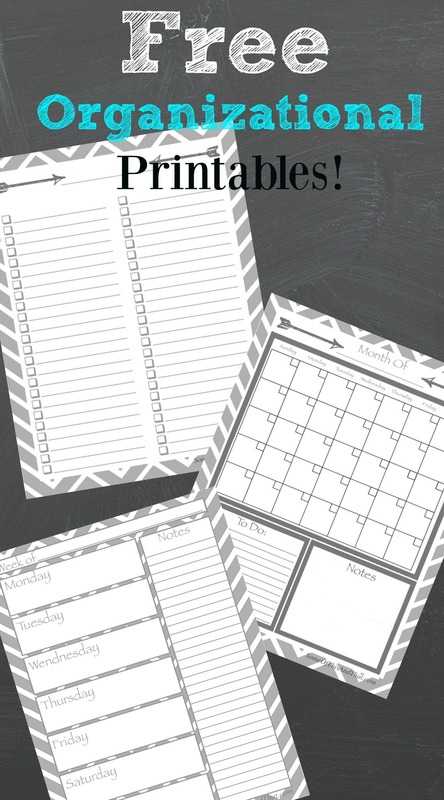 Blank Calendar to print off each month. 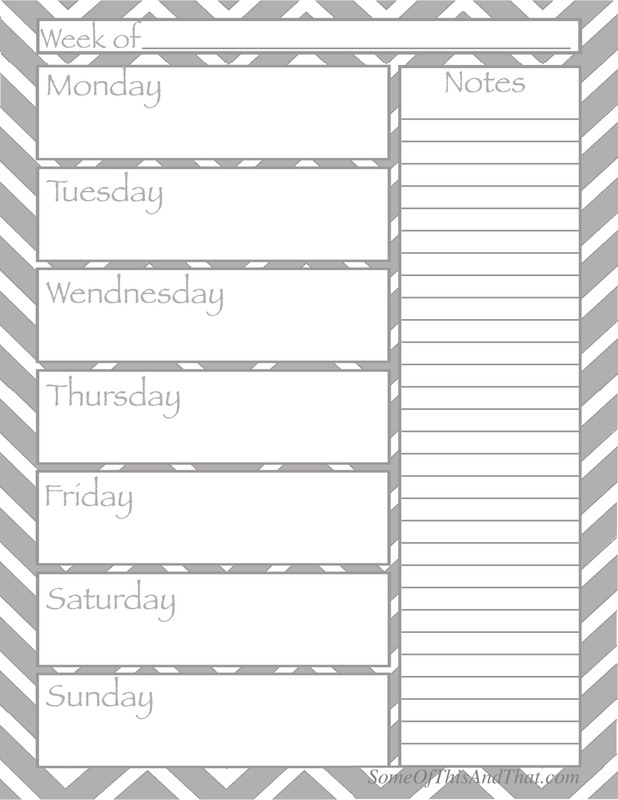 Keep track of appointments and daily tasks all on one sheet. Need a little bit more detail? 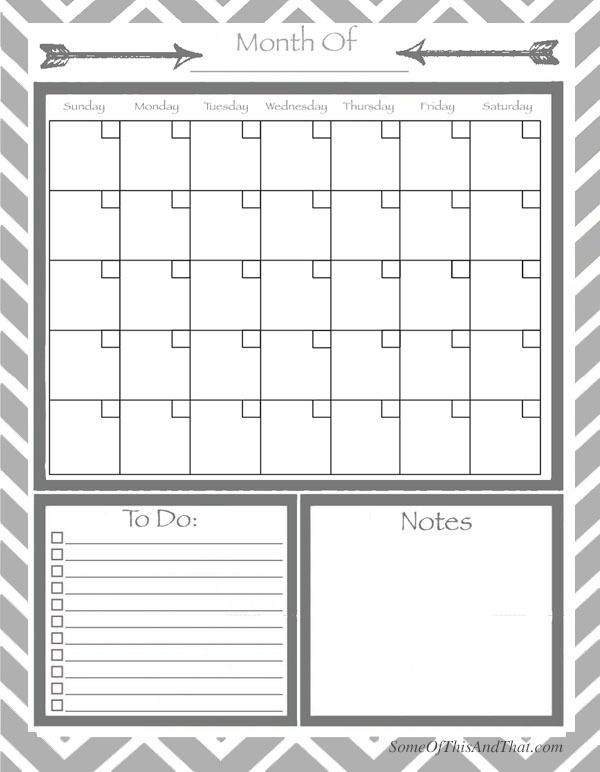 A weekly to do list free organizational printable is perfect for your weekly tasks! 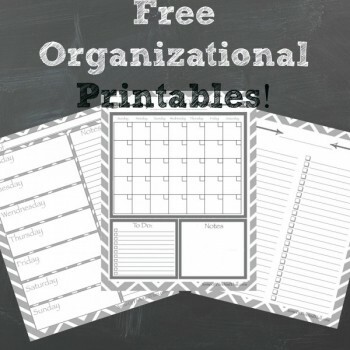 Get Your Organizational Printables HERE! Follow us on Pinterest for more fun and free Printables! Also, be sure to check out are new Free Planner Stickers! We release new ones every week! Oh how I love these…thank you!!! Color can sometimes be too overwhelming…and cluttered looking. I love this crisp, classy, funky look.